you'll play teams of a similar age & ability. Our aim is create match-ups that are as even as possible. Because we're putting together a draw with teams from all over the world - all with different ages and abilities, we need a little help from you, to make sure the final match-ups are as even as possible. So please, read through the Grades below, and when you register for the event, let us know where your team fits best. Golden Oldies President's Grade is where our youngest and most competitive teams play. A number of these players are still actively involved in club cricket competitions and can bat and bowl with precision. But while the on-field action is vigorous, every match is played in the true Golden Oldies spirit of fun, friendship and fraternity. A few years have passed since these Golden Oldies cricket players were in their prime, but there are still some silky skills on display in this division. There can also be a wide variety of abilities, which means grading teams is not an exact science. So when entering, please estimate your sides ability by placing them in one of three categories - Semi-Competitive, Once Were Competitive & Social. The body has aches and pains, but the mind is still as sharp as ever! 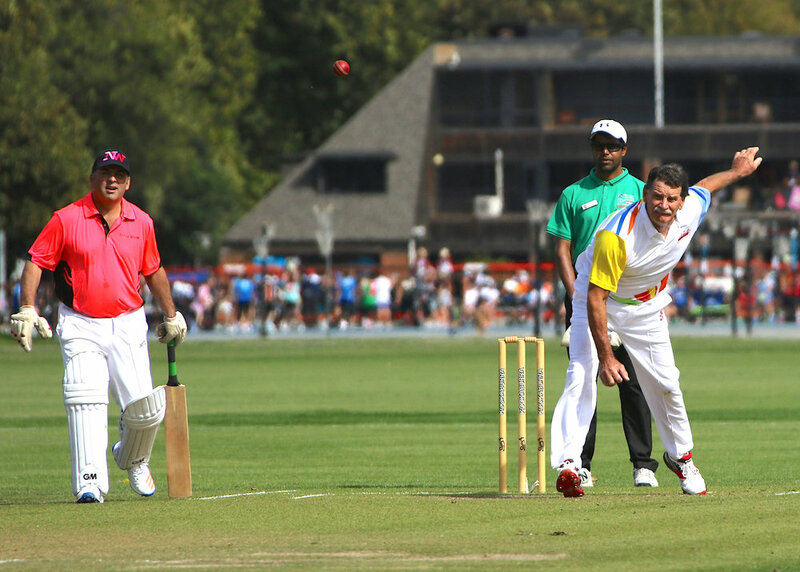 While these Golden Oldies cricket players have slowed down a bit, the skills haven't been forgotten. This division is often the biggest of the festival. So when entering, please estimate your sides ability by placing them into one of three categories - Semi-Competitive, Once Were Competitive & Social. Father time is catching up - but who cares! This Golden Oldies grades is all about getting on the pitch and having loads of fun. It's not to say these Golden Oldies don't like to win - of course they do - it's just that winning comes a very long way behind enjoying the on and off-field experience with mates. And making lots of new friends along the way. 70 years plus and still going strong! Being part of the team, catching up with a bunch of great mates, travelling the world and still playing the game they love - this is living! The Over 70's grade is (nearly) all about participation - in fact, we a number of Golden Oldies playing well into their 80's. It's never too late to join in the fun! A team is allowed to have up to 3 players that are under the official age of that grade. For example, a team entered in the Over 50's team may have 3 players that are younger than 50 years old.